Nowadays online learning has become extremely popular. Since most working professionals want to climb up the corporate ladder and get into leadership roles an MBA has become all the more necessary. The online MBA can be done at parallel to while you are working and the nest part is that you just need a computer and an internet connection for this. Now you no longer need to travel a longdistance post work just to do your MBA. As such you have the time to pace out as and when you want to do your online MBA. And once you have completed your MBA it will most definitely help you to rise in your career. One of the most popular online MBA courses that are available is the one that is offered by the Pondicherry University. This program is designed keeping in mind the needs of practicing managers in small as well as large corporate companies and MNCs . This online MBA course curriculum is also suitable for people who are working at public enterprises as well as people who are in mid-managerial ranks. The online MBA offered by the Pondicherry University is as good as a global MBA degree. The program is designed with a very scheduled approach and it is extremely structured. Moreover the best part is that the program is student centric. The aim of this online MBA is to develop the individuals by providing them with a deep insight in both theoretical and conceptual knowledge as well as practical skills that will be useful when they actual start working after completing their MBA. Pondicherry University also ensures that there is a regular feedback mechanism that it takes from across the best programs that are available. Using this it sharpens as well as enriches the managerial skills of the individuals. This is primarily done so that they are up to date with the latest transitions and techniques of business. This not only helps them stay ahead in the business world but also helps them to understand the recent innovations in their current areas of specialization. 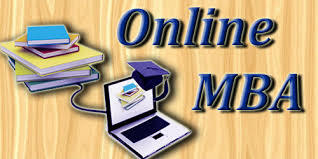 The online MBA courses that are provided by the Pondicherry University also have an internal assessment score. This is graded based on the assignments that the students are supposed to submit during taking the course. There is also weightage on discussions as well as internal exams. You will be able to successfully clear the internal assessments if you score the minimum required percentage. If you are not able to get the minimum required percentage then you will have to take the internal assessment again till you clear it before you are eligible to write the semester exams. The end of the term semester examinations are conducted twice in a year by the Pondicherry University. This is also followed by two supplementary exam cycles. You can take these exams from any location. You also need to get the minimum required percentage in the term end exam to successfully gradate in the particular subject. Next story Looking For A Property In The West End Of London?